Established in 2010, Stripe has since positioned itself among the top contenders in e-payment. The world's largest companies such as Amazon, Microsoft, and Facebook, are all using Stripe. 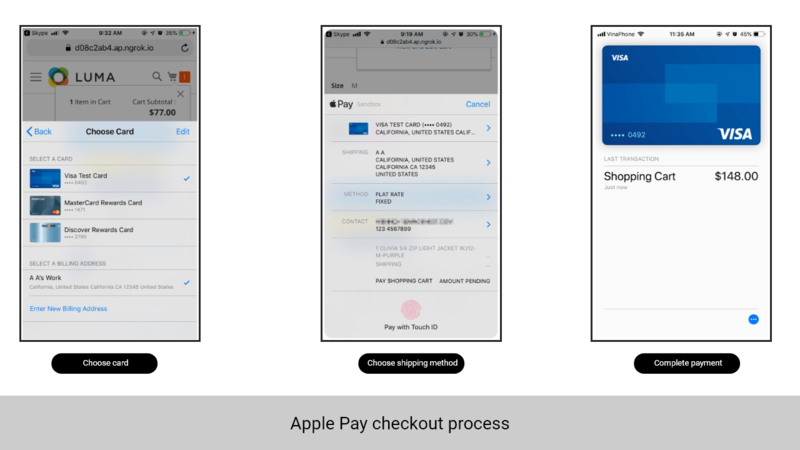 Using native Stripe APIs, our extension offers a complete checkout experience of the highest quality. 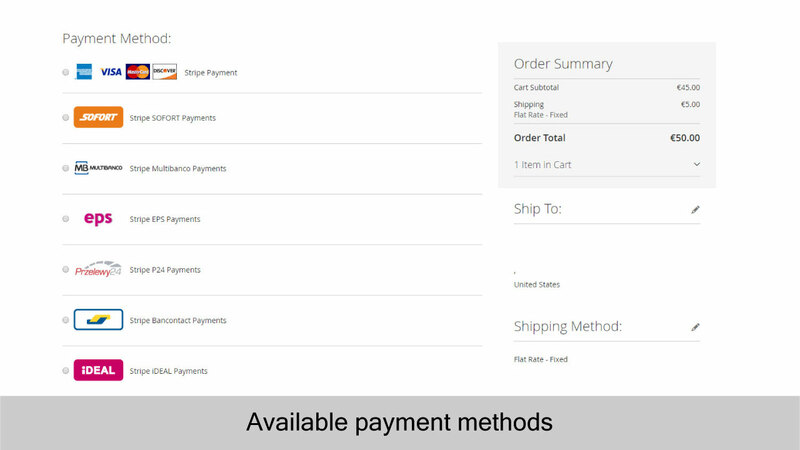 Merchants can make payments on behalf of customers if required. This helps to provide an additional payment option for circumstances of exception. 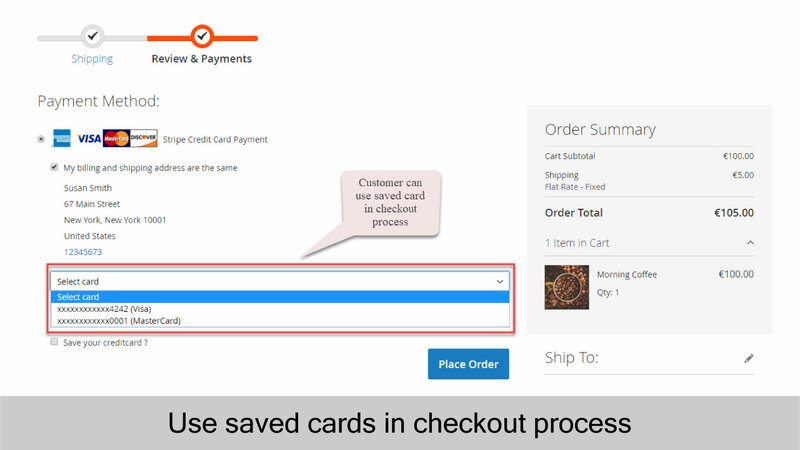 Customers can have the merchant complete orders for them in case they are unable to themselves. 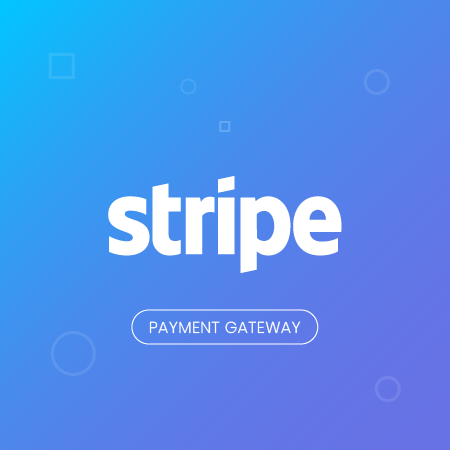 Stripe is available to businesses in 25 countries and accepts all major debit and credit cards in 135+ currencies. 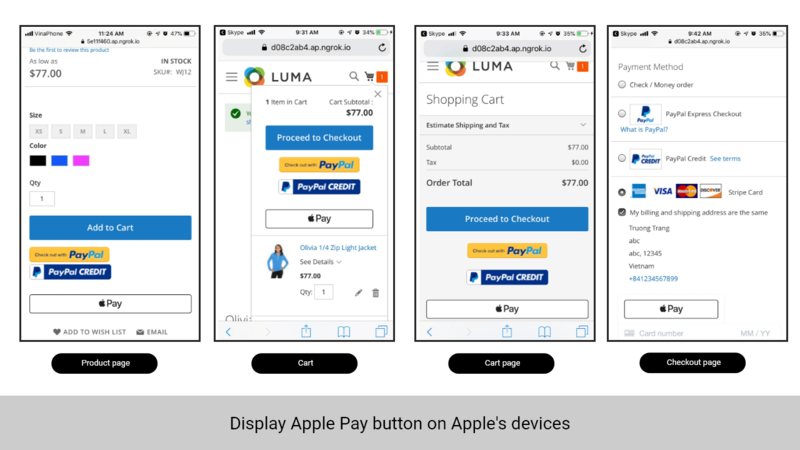 There are two forms of payment actions that merchants can choose. Stripe also supports direct refund. 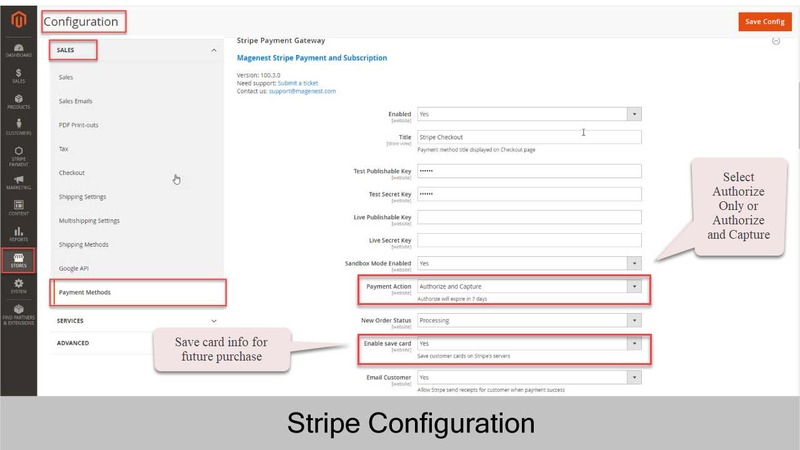 Our Magento 2 Stripe Payment Extension provides efficient ways for merchants to improve user experience. 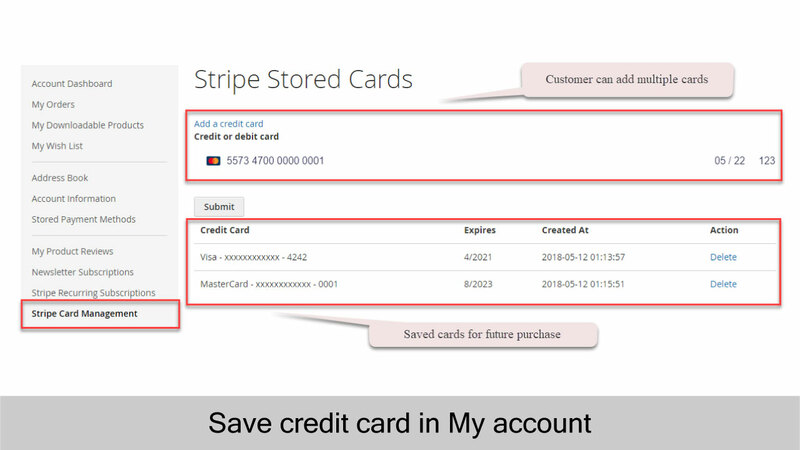 Stripe IFrame provides your customers with their trusted transaction context for security assurance without breaking fluidity. 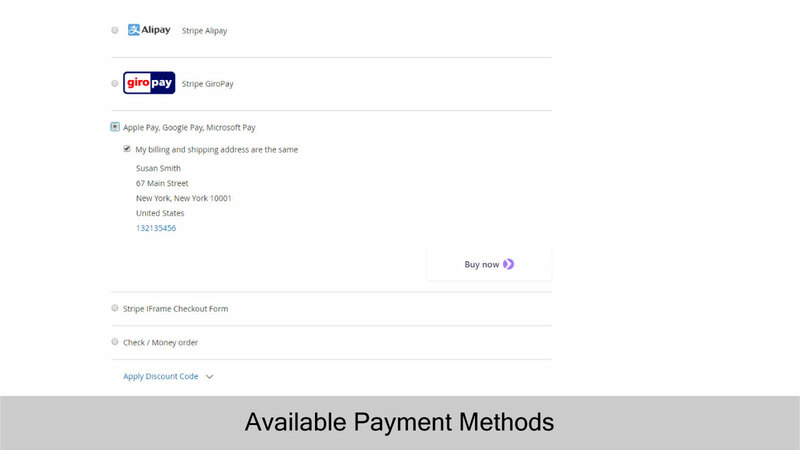 NEW Support multiple payment options: Alipay, Giropay, SOFORT, iDEAL, etc. 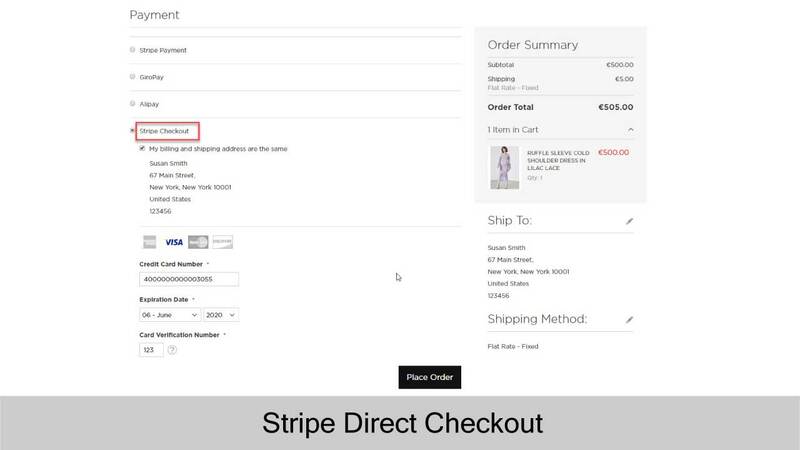 - Add: Stripe checkout button in product detail page. 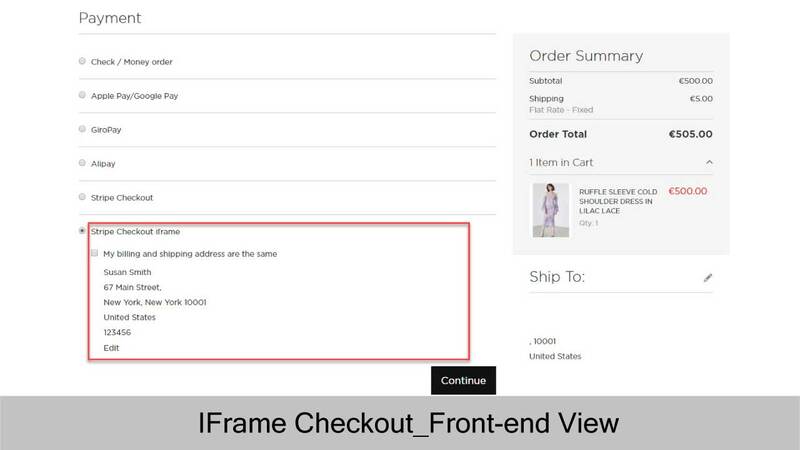 - Add: Stripe checkout button in Shopping cart. - Fix bug save card error when. - Support: Android Pay(Pay with Google). - Add validate payment source when receive from customer. - Stripe logger will stored in var/log/stripe. - Add sort order option in backend. 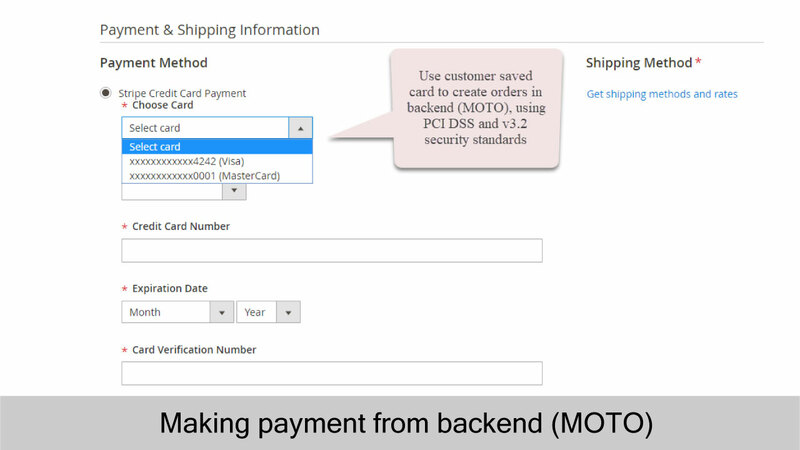 - Add Payment Instruction text box in backend. - Add support information in backend. - Save card, delete card error. - Fix bug response duplicated. - Remove dependency with Stripe Library (Don't need to run `composer require stripe/stripe-php`). - Remove option enable debug log. - User can save 3d secure card. - Fix bug send email for customer. - Fix bug order state. - Fix bug show message error. - Fix bug shipping address. 1. 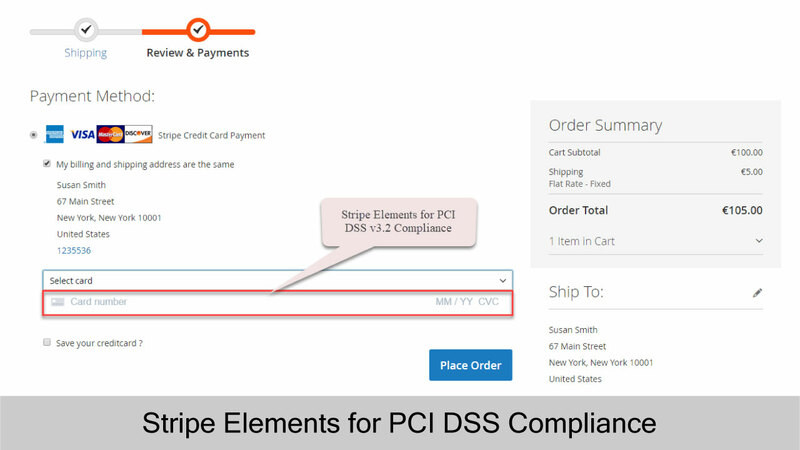 Allow customers to checkout using Stripe Payment Gateway. 2. Allow admins to easily tweak and manage payments via Stripe.